Kindly provided by Scott here's three more from the LB archives. 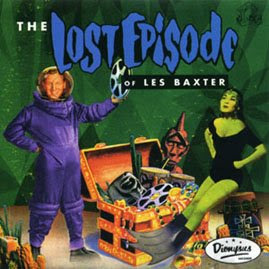 Lost Episode and By Popular Request are from the TV special Les Baxter's Sounds of the 60s, fragments of which are on Youtube. They're live recordings so not studio standard but very interesting and I'd love to see a good copy of the special not the blurry low res samples on Youtube. Probably the most interesting of the three is the Balladeers album which is basically a 60s folk hootenanny outing but well done and no, David Crosby is not included in the mix. Thank you!!! 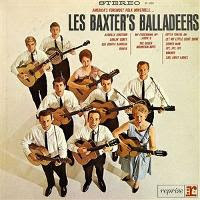 Balladeers has eluded me for decades. It's wonderful to find it here. Tremendous thanks to you and Scott! I did the cover art montage of Lost Treasures, and while I'm proud of it, the recording stinks and I'll tell you why. The producers had 35 millimeter movie film (from Les Baxter himself) to master from, but misplaced it and mastered the recording from an inferior cassette audio taped reference! When a friend of mine who was involved in the project came up with the film and it's superior audio track, the producers were too cheap to use it to for the source, and therefore put out an inferior product! 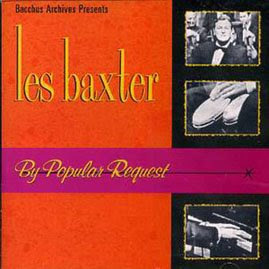 # (1962) The Fabulous Sounds of Les Baxter: Strings, Guitars, Voices! The Pop Side and even more!